Re-imagined jumbo with with comfortable neck and cutaway for smoother playability. Re-introducing the D'Angelico's Madison, a revamped jumbo with exceptionally bold tone. With thin, solid woods on all sides, the Madison's natural booming tone is unobscured, offering clarity across its tonal spectrum. With a slim C-shape neck and deep single cutaway, the Madison promises playability. Its top is solid Sitka spruce, while its back and sides are solid maple. 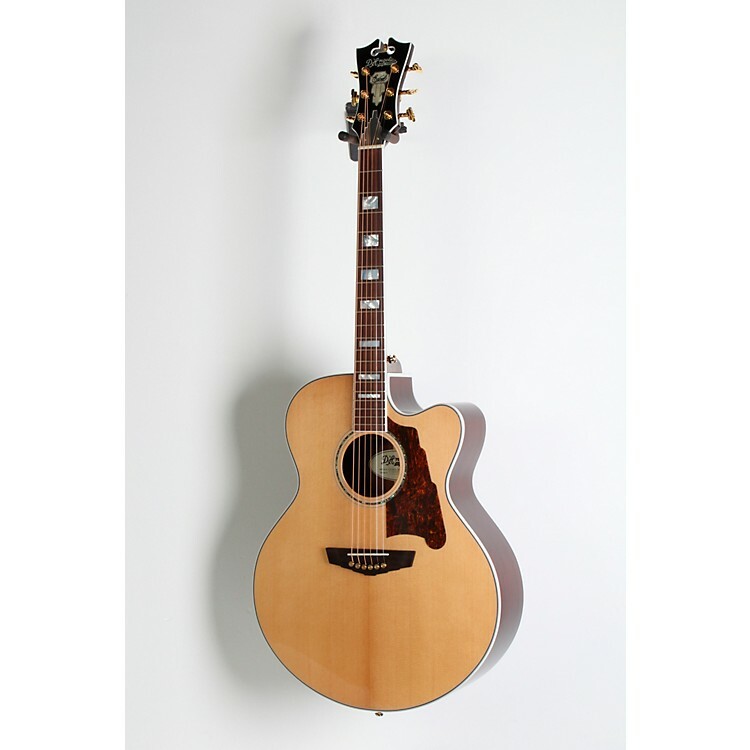 The Excel Madison is strapped with signature D'Angelico aesthetics, including a Skyscraper truss rod cover and a 3-ring abalone rosette. This jumbo has plenty of projection and a great price point. Order yours now.